It seems I get a daily email boasting about an app and its millions of downloads. It starts to feel like a game of one-upmanship, as startups jockey for bragging rights over the maximum number of downloads in the shortest amount of time. On one hand, I think it’s great to see apps thriving and startups coming out of nowhere with encouraging success stories. But at the same time, I’m starting to get tired of — and a little skeptical about — these numbers. Yes, saying you can get millions of downloads is noteworthy, but what I want to hear is how many of these users are still around in a week, a month, after six months, and how often are they engaging? Basically, I want more information than a simple download number can give. Downloads are one-time events that can be pumped up through legitimate viral channels, good reviews and shout-outs by well-known people. But it can also be done through marketing online and in-app advertising, which can call into question the value of those users if they’re responding to ads rather showing genuine interest. And now with more alternative payment options available, in which an app user can get virtual goods or currency in a game by downloading an app, it makes the download numbers even more fuzzy. I’m not saying the metric is worthless or marketing isn’t legitimate, but downloads can pumped up in a number of ways. What is harder to game is real engagement over time. That’s what I’m hoping to see more from developers. Instead of flashy numbers, show me user loyalty. Everything else is churn. By sticking with download numbers, I wonder how many are masking the fact that most of their users don’t come back at all. A study by Localytics highlighted this reality last month when it reported that 26 percent of apps were only opened once and then ignored. An even higher percentage of apps are only opened up two to five times. On the plus side, Localytics says 26 percent of users return to an app 10 or more times,which suggests there’s a smaller but significant number of robust users willing to stick with a good app. This is the group developers should be focusing on. And while it’s a more modest number, those remaining users are more impressive over time and more lucrative. You can’t monetize a one-time visitor through ads or virtual goods, but a repeat visitor opens the opportunity for both those opportunities as well as the chance to upsell them on premium services. It makes me wish app developers shared a more standardized metric like social game makers do on Facebook, who report monthly and daily active users. I’d also like to see more information on session frequency and lengths and how many people are still using an app after a certain amount of time. That might be a little problematic because apps span the gamut, from quick-play games to utilities that are occasionally used to news and information apps that often get daily usage. But if the data was more standardized, at least within categories, that would show how many users are remaining with an app and would demonstrate a developer is actually doing something right, not just getting people in the door. I talked with Peter Farago, VP of marketing for mobile analytics firm Flurry, who said many developers are already familiar with metrics like daily active user numbers because it’s something they measure through Flurry. Developers are also increasingly spending more time analyzing their apps, tracking more events to understand where users are engaging and where they drop off. But many don’t share this information because downloads numbers are easier to explain and sexier because of their size. But it can hide that an app or a business is fundamentally unhealthy. Brian Suthoff, VP of marketing for Localytics said he encourages developers to move past download numbers and focus on building up repeat users. It’s an obvious goal, but something that bears emphasizing. Suthoff said Localytics is working on creating an app health index to help developers understand how their app is doing in engagement and loyalty. Now there are developers who share engagement information. Game developer Playforge announced last week that Zombie Farm, one of the top freemium game titles in Apple’s App Store (s aapl) last year, hit 11 million downloads in just under a year. But more impressive was that Zombie Farm retained 40 percent of its players after a month and more than 10 percent of users who started playing a year ago. Compare that to Flurry’s industry benchmarks, which indicates that 19 percent of players hold on after one month and less than 5 percent stick with games after 90 days. 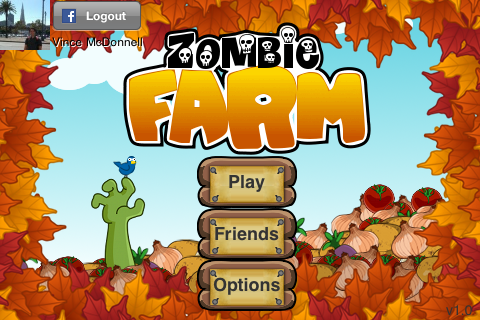 Over the last two months, the Zombie Farm users also averaged 3.6 sessions a day, double Flurry’s benchmark for games. This is good granular information and shows that it can be done. The app industry just needs to encourage more of it. Most developers are already gathering the data; we just need to see it more often. I doubt many will start any time soon. The real engagement numbers can be very revealing and humbling. But if we can get some leaders to be more vocal, we can encourage the industry to share this information more readily. The mobile app economy is a huge success, growing into a juggernaut in less than three years. Apple has recorded more than 10 billion downloads since opening its store in 2008. But we’re now at the point where developers need to tell a fuller story: how their apps aren’t just snagging downloads, but how they’re part of people’s everyday lives. This is why independent app stores like GiveMeApps are in the lead. Some third party sources are going to give customers what they want if developers don’t foot the bill. It IS understandable though. You have to understand that developers are either going to want to see ROI or charge a flat fee for what they’re asked. I’m sure they’d charge an arm or leg if the think-tanks demanded that type of functionality. Dream on. The numbers for 99.9999 percent of the apps in the App Store or Android Market would just be embarrassing, so they won’t report them. The apps that get used all the time are the ones with the most reviews, and the ones that everyone is talking about. It’s not hard to figure out which apps are REALLY succeeding. For what it’s worth, iTunes says that I’ve downloaded exactly 99 apps. There are literally only 6 apps which I use on a daily basis (not counting the built-in apps, like Mail and Safari). There are about 30 which I do not use, but have opened at least once. The other 50 were downloaded because I was like, “hey, there’s an app for that!”, but then I never actually opened or used them. Then, there’s a handful which I downloaded simply because I wanted to get them before Apple pulled them from the store (like VLC and Kindle). I find your article very interesting. Of course, it would have been much better if developers or app makers would give us the real information about their app. It’s the real deal. Most probably, it will encourage more people to download their apps and give it a try. On the other hand, it is something that some of them are scared to share to the world because they think that it might influence others negatively. I’d love to give my users more than download stats but that all *I* get to see too… The stats that developers get are calculated server-side, not client-side so any stats besides downloads are just estimates. Client-side stats are possible but they are a pain to implement and there is very little official documentation for it.